Detroit 2.0: Can Startups Revive a Distressed City? “If you walked around downtown Detroit two years ago, you would have been the only person there,” says Matt Mosher, founder of hiredMYway, an online resource for job seekers. “Today, it feels like a totally different country. People are everywhere, shops and restaurants are everywhere and startups are popping up every day. Mosher’s description may be hard to believe, especially if you haven’t stepped foot in Detroit within the past 18 to 24 months. Before then, negative perceptions were the reality. Detroit’s atmosphere was one of defeat, sadness at the loss of manufacturing jobs and distress over a city government that had systemically betrayed its people with corruption and general dysfunction. It was late 2009 when Mosher first came across the idea for what would become hiredMYway. Already a successful small-business owner, he launched the company with his own money and soon got a phone call from Josh Linkner, a fellow Detroiter and founder of ePrize, a successful digital agency. “Josh told me he was getting out of ePrize to partner with Dan Gilbert [billionaire founder of Quicken Loans] to launch a venture capital fund called Detroit Venture Partners, and wanted to invest in my company,” Mosher says. This investment has helped transform Detroit’s downtown and midtown neighborhoods almost overnight, buying up more than 7 million square feet of commercial space for shops and restaurants and working as a major player in a new streetcar system connecting the Detroit River to downtown with a 2015 estimated opening date. While Gilbert is largely credited as the catalyst of Detroit’s positive urban progress—“Dan and his team have the money, so basically they let the government do what they do and we run the city ourselves,” Mosher says—there are other players in the mix too. More than a dozen VC firms have sprung up in the past two years exclusively focused on creating a community for startups in Detroit. IncWell, located in nearby Birmingham, is the latest entrant, having joined the scene in early May. Perhaps most interesting about the fund’s launch is its managing team—all members of Detroit’s old guard—including former Chrysler CEO Tom LaSorda and trucking magnate Roger Penske. Detroit’s startup community is larger than just its VCs. Startup accelerators and incubators are also popping up. Organizations such as Grow Detroit, which launched in 2011, puts on monthly events for local entrepreneurs, attracting big names like Twitter's Jack Dorsey and Tim Draper. 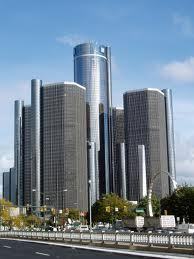 Even non-tech companies are feeling the pull of Detroit. In 2011, when Heath Carr, CEO of Dallas-based Bedrock Manufacturing, decided to build a watch brand, he and his team visited Detroit and, as he puts it, “fell in love immediately.” Bedrock Manufacturing launched Shinola, a line of high-end watches, in mid-2012 out of a factory in midtown. His workforce: Thirty Detroit-area, highly skilled employees. Each Shinola watch is stamped with the words “Built in Detroit”—a strategic corporate move. Even with recent progress, the Motor City faces a laundry list of challenges. According to DVT’s Linkner, a number of longtime residents oppose change, which proves difficult when opening new restaurants and shops and bulldozing vacant buildings in place of new construction. The city is also in the middle of a debt crisis; its emergency manager recently made a widely publicized comment about selling pieces from the Detroit Institute of Art to pay loans—an idea that was quickly shot down. Public safety is also an issue. While downtown and midtown are seen as relatively safe areas (Gilbert’s investment has also included tight security in the startup region), outlying neighborhoods still suffer from high crime rates. Five years ago, college students in the Midwest would have never considered Detroit a viable place to start a post-graduate career. Now there is a palpable change in the wind. Linkner is doing everything he can to keep the trend going. He and his portfolio of companies are bringing on more than 1,000 interns for the summer. Applications poured in (hundreds more than could be placed) from places like Seattle and Princeton, New Jersey.